Daniel Negreanu has accomplished just about everything a poker player could hope for over the course of his career. Now, he’ll have the opportunity to earn the one accolade that arguably stands above all others: entry into the revered Poker Hall of Fame. The World Series of Poker has announced the 10 finalists who are under consideration for induction into the 2014 Poker Hall of Fame, revealing a list of players and contributors who have made their mark on the poker world. The nominations were made by the public, then scrutinized by the Poker Hall of Fame Governing Council, which vetted the recommendations and pared it down to the final list of 10. Five of the players who were nominated have previously earned that honor. 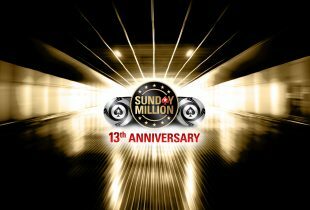 They include Chris Bjorin, Humberto Brenes, Jennifer Harman, Mike Matusow and Huck Seed, all of whom are familiar names to serious poker fans. The list of new nominees was, perhaps, a little more interesting. 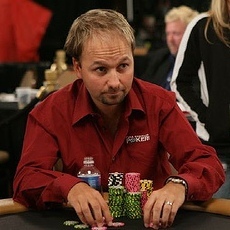 Negreanu was the biggest name on the list, and many speculate that he may be inducted in on his first time on the ballot. Negreanu just turned 40, which is the minimum age for consideration into the Poker Hall of Fame, so this was his first chance to be nominated. Certainly, his career has Hall of Fame credentials. Having won nearly $29.8 million in live tournament play, Negreanu leads the all-time money list by more than $3.5 million over Antonio Esfandiari. He’s won six WSOP bracelets and two World Poker Tour titles in his career, and has been one of the most prominent ambassadors of the game. Also up for nomination for the first time is Ted Forrest. Like Negreanu, Forrest also boasts six WSOP bracelets, and also has a WPT title of his own. In 2006, he won the NBC National Heads-Up Poker Championship. His lifetime earnings are over $6.2 million. Another familiar name is that of Jack McClelland, a long-time, well-respected tournament director who was influential in spreading tournament poker around the world from the 1980s through his retirement in 2013. There’s also Bob Hooks, who was one of the early “Texas road gamblers” and the 1975 WSOP Main Event runner-up before becoming the poker room manager at Binion’s Horseshoe. The list is rounded out by Bruno Fitoussi, a French professional player who won the 2001 World Heads-Up Poker Championship and has over $2.7 million in career earnings. The nominees will now be voted on by a panel consisting of 20 media members as well as all 21 living Hall of Fame members. Voters have until October 10 to cast their votes, with up to two players potentially joining the Hall of Fame ranks. Last year, Scotty Nguyen and Tom McEvoy were both inducted as the 2013 class. In order to be considered, a candidate must be a minimum of 40 years old when they are nominated. The criteria for players include them having played against top competition and for high stakes, having played consistently well and gaining the respect of their peers, and standing the test of time. For non-players, the requirement is that they contributed to the growth and success of the game with positive and lasting results.